Will we see more GTI and R performance models? The eighth generation of the ever-popular Volkswagen Golf is due to begin rolling off the production line in June 2019. It's going to have to be a mightily accomplished machine to stay ahead of the 2018 Ford Focus - a car that's seriously impressed our testers. 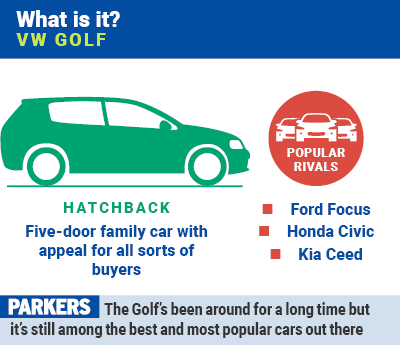 In this article we take you through everything you need to know about this crucial new model - the VW Golf appeals to everyone from company car drivers to fast-car fans. The current Golf line-up includes petrol, diesel, electric and plug-in hybrid power. Why is the 2019 VW Golf such an important car? 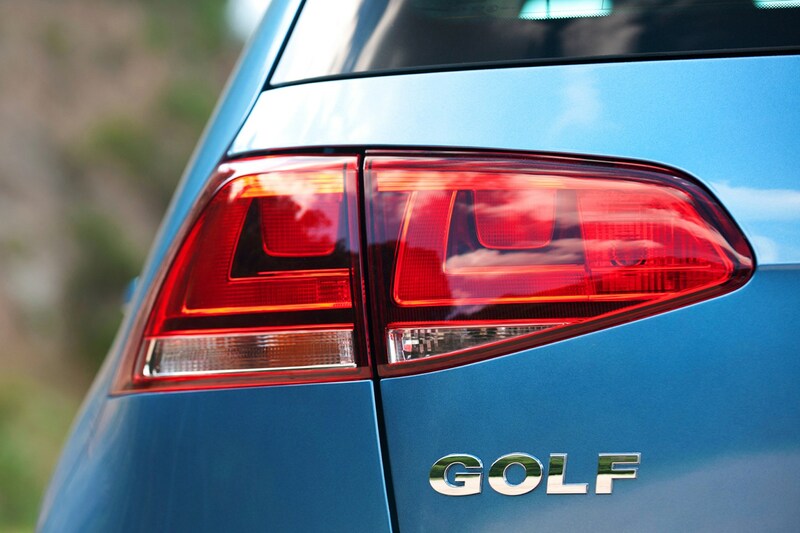 Consistently among the bestselling cars in Europe and one of the most recognisable names of any vehicle on sale, the Golf has been a huge success for Volkswagen since its launch back in 1974. Over 35 million units have been sold worldwide. We’ve been universally impressed with the most recent VW Golf – known as the Mk7.5 as it’s a 2017 facelift of the Mk7, which was launched back in 2013 – and our reviewers place it firmly at the top of its class. That’s no mean feat when you’re up against cars like the Ford Focus, Vauxhall Astra and Audi A3, which are all incredibly popular models in their own right. What that means is the Mk8 Golf will have a second, much more powerful electrical system to supplement the 12-volt one common to almost all modern cars. This will allow it to use a far more efficient hybrid system to supplement the conventional engine's output, lowering CO2 emissions and improving fuel economy. This technology will filter out to VW's other models, and will be sold alongside the ID range of pure electric vehicles. While it isn't immediately clear whether this motor will make it into UK VW Golfs, natural gas technology has been in use in Europe for years as a cleaner alternative to conventional petrol and diesel engines. In some cases Compressed Natural Gas (CNG) is also sustainable, which sends a very strong environmental message to consumers. CNG has next to no particulate emissions. Based on the existing 1.5-litre Evo engine we've driven in the current Golf and the T-Roc SUV, the new motor uses the latest injection and turbocharging tech to offer a theoretical range of 304 miles, with a further 118 miles of petrol running available once CNG is depleted. It can automatically switch between the two fuel types. We've also tried VW's CNG tech in a Caddy van; click here to read more about that. 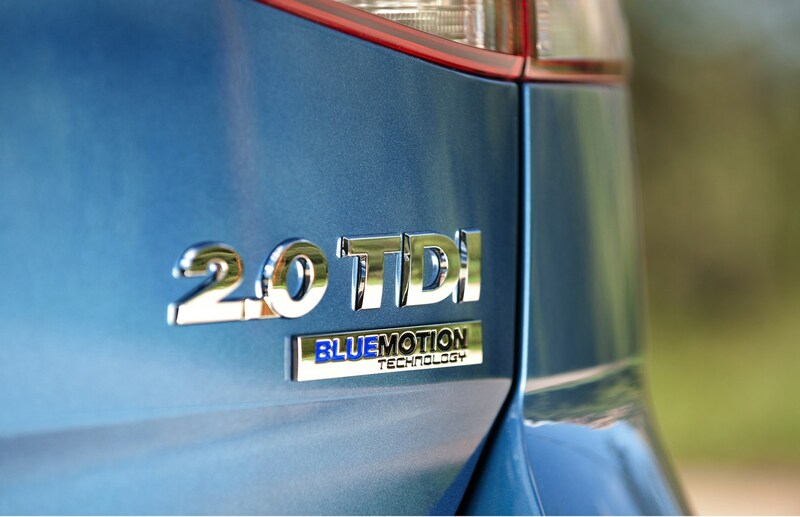 Not to be confused with the 48-volt hybrid system mentioned above, the diesel hybrid is a lowlier 12-volt system yet promises up to a 10g/km improvement in CO2 emissions and up to 9% more power and torque than the diesels in the outgoing Golf. Power outputs are set to range between 136hp and 204hp. We've actually already driven the new 2.0-litre TDI diesel engine, which VW calls the EA888 Evo, in our 2018 Audi A6 Saloon review. What else is new for the 2019 Mk8 Volkswagen Golf? It’s all about the latest technology. The Mk8 Golf will feature significantly more computing power. According to Karlheinz Hell, head of VW compact series group, who is responsible for the project: ‘The next Golf will take Volkswagen into the era of fully connected vehicles with extended autonomous driving functions. 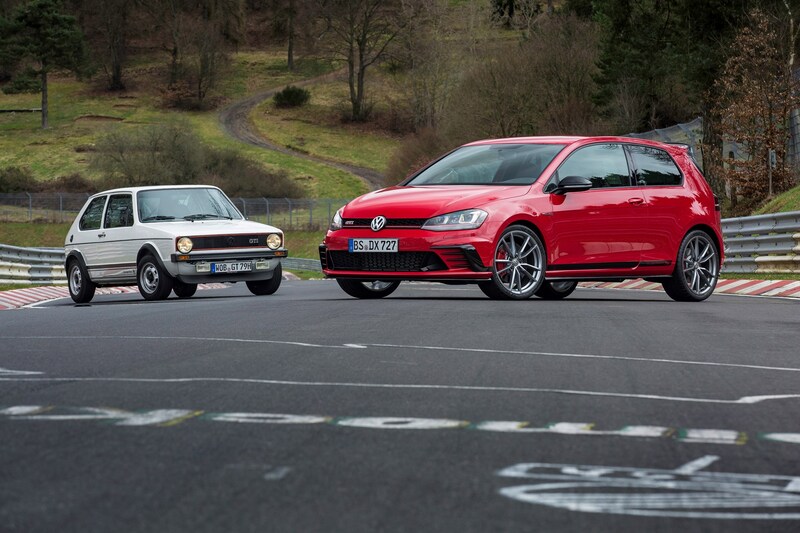 Will there be another Golf GTI, Golf R, plug-in Golf GTE and e-Golf? 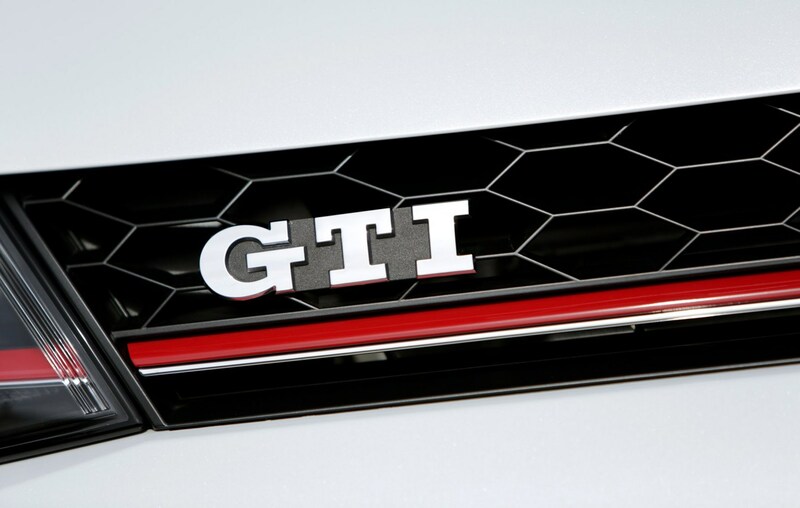 We don’t have any information at this point, but given VW’s heritage and success with widely recognised brands like GTI and R, it’s fair to assume we’ll see the return of such performance models. But with all carmakers desperately trying to lower CO2 output and improve the NOx and particulate emissions of their cars, it’s possible the next wave of performance Golfs could also be hybrids. We’re expecting VW will persist with a number of bodystyles, including a Golf Estate and Golf SV, but strongly suspect there won't be a three-door model. Whether a new Golf Cabriolet will appear remains unclear. As ever, Parkers will be among the first to drive this all-new car.